Building a custom grain bill is the easiest way to order all your grain for a complete recipe. Flaked Rice ($8.00) This must be a number! Weyermann Cologne Malt ($6.60) This must be a number! Weyermann Caraaroma ($8.00) This must be a number! Golden Naked Oats ($8.00) This must be a number! Weyermann Special B ($8.00) This must be a number! Briess Special Roast Malt per kg ($8.00) This must be a number! Carahell ($8.00) This must be a number! Briess Yellow Corn Flakes per kg ($8.00) This must be a number! Beech Smoked Barley Malt ($6.80) This must be a number! Floor Malted G.P Pale ($6.80) This must be a number! Oat Malt ($8.00) This must be a number! Weyermann Premium Pilsner Pale ($5.80) This must be a number! Carafa Spec Type 3 ($8.00) This must be a number! Spelt Malt ($9.00) This must be a number! Floor Malted Bohemian Pilsner Malt ($7.20) This must be a number! Caramunich Type 2 ($8.00) This must be a number! Caramunich Type 1 ($8.00) This must be a number! Weyermann Cararye ($8.00) This must be a number! Carafa Spec Type 2 ($8.00) This must be a number! Weyermann Abbey Malt ($6.80) This must be a number! Rice Hulls per kg ($4.00) This must be a number! Build a Grain Bill This must be a number! 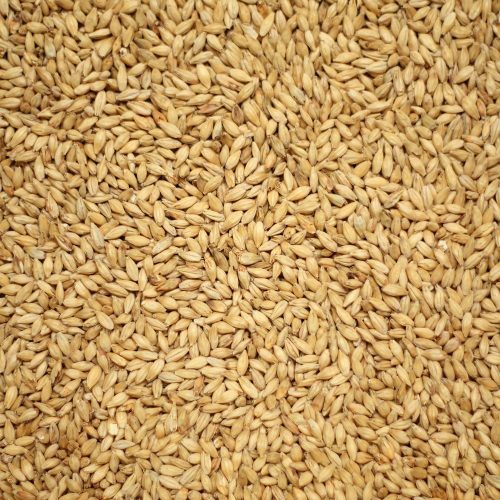 Pale Malt (2-row, ale) per kg ($5.50) This must be a number! Pilsener Malt per kg ($5.50) This must be a number! Wheat Malt per kg ($6.60) This must be a number! Maris Otter per kg ($6.60) This must be a number! Brown Malt per kg ($6.60) This must be a number! Rye Malt per kg ($8.00) This must be a number! Munich per kg ($6.60) This must be a number! Munich Dark per kg ($8.80) This must be a number! Vienna per kg ($6.60) This must be a number! Amber Malt per kg ($7.20) This must be a number! Aromatic Malt per kg ($6.60) This must be a number! Melanoidin Malt per kg ($6.60) This must be a number! Caramalt (Extra Light Crystal) per kg ($6.60) This must be a number! Cara-Pils per kg ($8.00) This must be a number! Light Crystal Malt per kg ($6.60) This must be a number! Crystal Malt per kg ($6.60) This must be a number! Crystal Dark per kg ($8.00) This must be a number! Gladfield Toffee Malt per kg ($6.90) This must be a number! Gladfield American Ale Malt per kg ($5.80) This must be a number! Gladfield Pilsner Malt ($5.80) This must be a number! Gladfield Ale Malt per kg ($5.80) This must be a number! Gladfield Red Back Malt ($6.90) This must be a number! Gladfield Shepherds Delight Malt ($6.90) This must be a number! Gladfield Aurora Malt ($6.90) This must be a number! Gladfield Manuka Smoke Malt ($9.30) This must be a number! Joe White Wheat Crystal per kg ($8.00) This must be a number! Simpsons Golden Promise per kg ($6.60) This must be a number! Chocolate Malt per kg ($6.60) This must be a number! Roasted Barley per kg ($6.60) This must be a number! Black/Roasted Malt per kg ($6.60) This must be a number! Roasted Wheat per kg ($8.00) This must be a number! Weyermann Oak Smoked Wheat per kg ($6.80) This must be a number! Torrefied Wheat per kg ($8.00) This must be a number! Rolled Oats per kg ($8.00) This must be a number! Rolled Wheat per kg ($8.00) This must be a number! Rolled Barley per kg ($8.00) This must be a number! Bestmalz Smoked Malt (Rauchmalz) per kg ($6.60) This must be a number! Acidulated Malt per kg ($7.80) This must be a number! Simpsons Peated Malt per kg ($6.60) This must be a number! We mill our grain on a 3 roller mill which provides a very thorough crush, suitable for most brewers. If you’re having efficiency issues, you might prefer your grain double milled.